​Jong Huat has obtained his Ph.D. from the Universiti Sains Malaysia. His thesis focused on the role of crucial microRNA in growth factor-mediated neural differentiation of mesenchymal stem cells and was completed under the supervision of Professor Hasnan Jaafar. Jong Huat is passionate about stem cell research and interested in exploring the potential application of stem cell in treating neurodegenerative diseases. 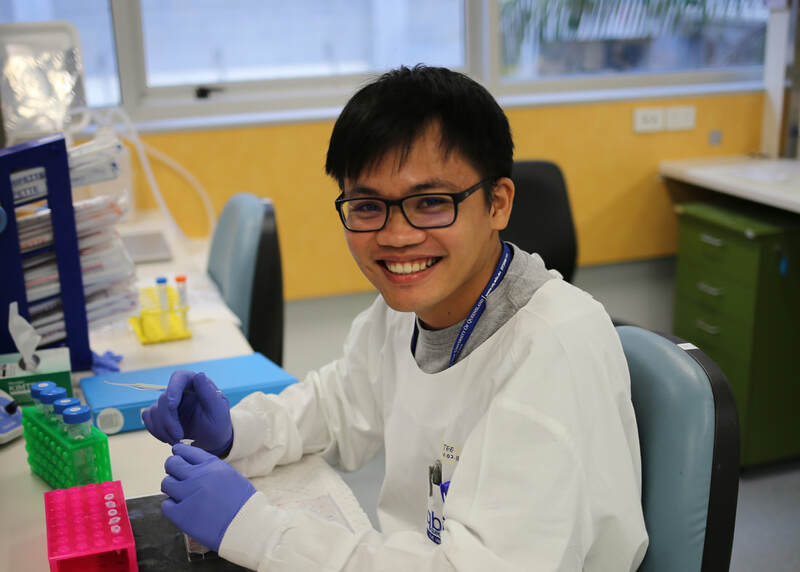 In January 2018, Jong Huat joined the Neurula Lab and applied his skills to investigate the impact of astrocyte-mediated neuroinflammation on Alzheimer’s disease. In his free time, Jong Huat enjoys travelling, reading, and training karate. The University of Queensland, AUS. Soumya Pati, Sangu Muthuraju, Raisah Ab. Hadi, Tee Jong Huat, Shailja Singh, Mirjana Maletic-Savatic, Jafri Malin Abdullah & Hasnan Jaafar. (2016). Neurogenic plasticity of mesenchymal stem cells, an alluring cellular replacement for traumatic brain injury. Current Stem Cell Research & Therapy 11(2): 149-157. Tee Jong Huat, Amir Ali Khan, Jafri Malin Abdullah, Fauziah Mohamad Idris & Hasnan Jaafar. (2015). MicoRNA Expression Profile of Neural Progenitor-like Cells Derived from Rat Bone Marrow Mesenchymal Stem Cells under the Influence of IGF-1, bFGF and EGF. International Journal of Molecular Sciences 16: 9693-9718. Sim Sze Kiat, Tan Yew Chin, Tee Jong Huat, Abdul Aziz Yusoff & Jafri Malin Abdullah. (2015). Paclitaxel inhibits expression of neuronal nitric oxide synthase and prevents mitochondrial dysfunction in spinal ventral horn in rats after C7 spinal root avulsion. Turkish Neurosurgery 25(4):617-624. Tee Jong Huat, Amir Ali Khan, Soumya Pati, Zulkifli Mustafa, Jafri Malin Abdullah & Hasnan Jaafar. (2014). Insulin-like growth factor 1 enhances in vitro transdifferentiation of mesenchymal stem cells to neural progenitor cells. BMC Neuroscience 15:91.